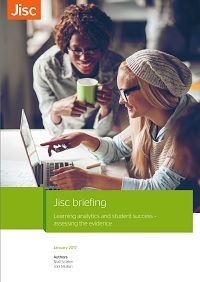 Jisc is currently procuring the different elements of its architecture for a basic learning analytics system which we plan to make available to UK colleges and universities later this year. In this video I explain how it all fits together. 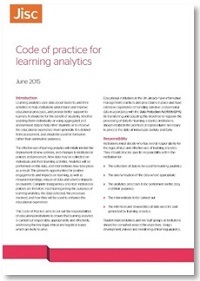 A learning analytics processor – a tool to provide predictions on student success and other analytics on learning data to feed into student intervention systems. 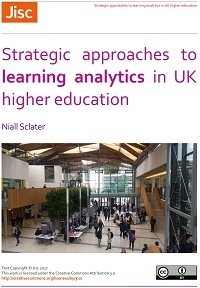 A staff dashboard – a presentation layer to be used by staff in institutions to view learning analytics on students. 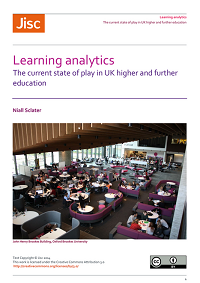 Initially this presentation layer will be focussed on the learner but dashboards for managers, librarians and IT managers could also be developed. An alert and intervention system – a tool to provide alerts to staff and students and to allow them to manage intervention activity. 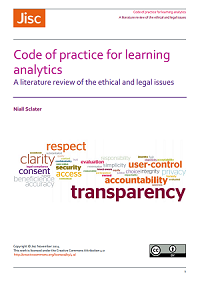 The system will also be able to provide data such as methods and success, to be fed into an exemplar “cookbook” on learning analytics. A student app – based on requirements gathering with staff and students. Integration with existing institutional apps will be supported. A learning records warehouse – a data warehouse to hold learning records gathered from a range of institutional data sources. We will define an output interface and also support integration with a common set of institutional systems. 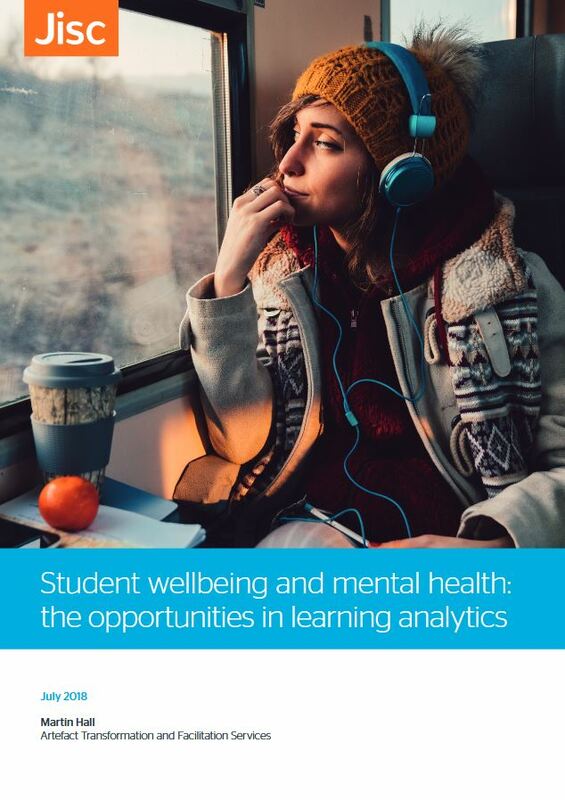 A procurement process is underway, proposals from suppliers have now been received and we are at the selection stage to appoint suppliers to develop each of the components of the learning analytics solution. The agreements will be in place in early May. 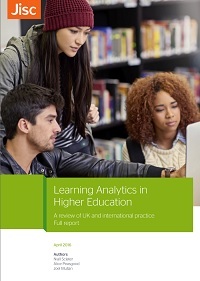 The expectation is that a basic learning analytics system consisting of the processor, dashboard and warehouse will be in place to pilot with universities and colleges from September 2015. The other components will be developed over the next 6-12 months. A full production service will be provided if the pilots prove successful and popular from September 2017. Posted by Niall Sclater on April 4, 2015 in Architecture. Would Dublin City University be able to avail of this service? At least in the form of a pilot study.